Just before the heralding of the apocalypse, when life was normal, some thrill-seekers were registering on a website that promised to deliver fake videos of their friends being killed. As people wondered what these videos could mean, an invasion began and humanity was forced to face a struggle to survive in an unprecedented catastrophe. For the main character and his friends, they stand up for humanity when the very same website uploads an application on their cell phones, summoning demons. From there, newly minted demon tamers begin the fight to survive and save the future of mankind, but the protagonist's decisions aren't without consequences. What he chooses may save the lives of his friends, or seal their fate. The encounters put your skills to the test, and challenges like facing enemies with no weaknesses are frequent. ...Whether you've played Devil Survivor 2 or not, you can't go wrong picking up this edition. It's a standalone game, so those who haven't played the Devil Survivor series can easily start here. The intense battles and demon fusion kept me hooked, and the new content offers plenty of the same fun. At the end of the day, Devil Survivor 2 is a great game made better with the inclusion of the new scenario and full voice acting. It’s a no brainer for anyone who missed this gem of an SRPG when it first released and a worthwhile purchase even to those who have already experienced the original just to play through the new content. Devil Survivor 2 was already an enormous game, but Record Breaker nearly doubles up on that with a new epilogue. It also adds new voice acting, some script tweaks, and other enhancements to the original game. 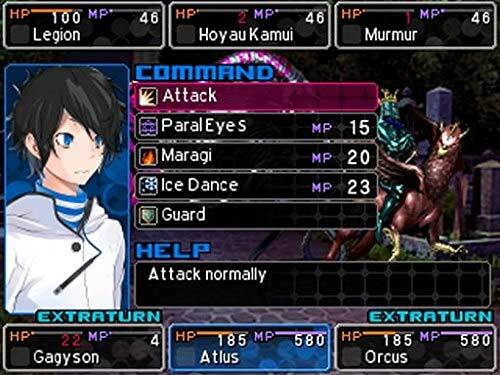 It’s not easy, and it’s certainly not short, but Devil Survivor 2: Record Breaker is one of the best strategy role-playing experiences available for the 3DS. Fans of both tactical RPGs and anime will find something to enjoy here. The characters are well drawn, if not overly endowed for school age, and the voice acting is a nice touch. I particularly liked the allegory of being able to summon demons through your mobile device and the dangers of technology. The UI is nicely done and captures the feel of an early smartphone as if it was on your 3DS. 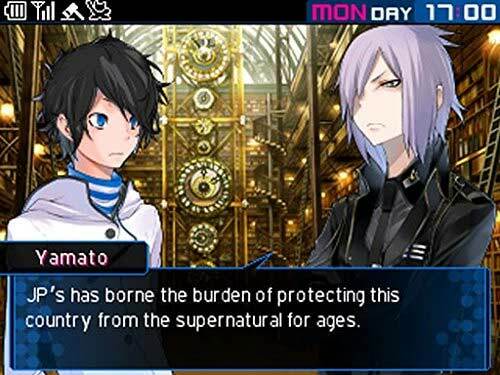 Shin Megami Tensei: Devil Survivor 2: Record Breaker is an enormous package. It not only boasts Devil Survivor 2‘s original campaign, enhanced with fantastic voice acting, but also an entirely new complementary epilogue. 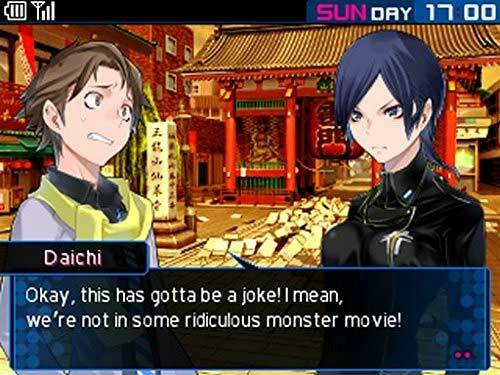 ...Make no mistake — it’s a compelling, challenging and rewarding JRPG in it’s own right, but with little fresh content and some lingering accessibility issues, Shin Megami Tensei: Devil Survivor 2 might not be the title everyone was hoping it to be. The story is engrossing and written well, with interesting and well-developed characters that push along the plot at a pleasantly brisk pace. One of my favorite parts of the visuals in this game is the excellent sprite art; well detailed, fluidly animated and adorably retro, seeing them in action during cutscenes are always a delight. ...Despite the aesthetic and DLC complaints, Shin Megami Tensei: Devil Survivor 2: Record Breaker is an all-around solid JRPG, with great gameplay and an equally great story. Essentially the title is two full games (well, since the second one starts on Tuesday instead of Sunday, I guess it's more like one and three quarters), and well worth the pick up for anyone who may have missed this spin-off of Shin Megami Tensei. With fun, strategic battles, a roller-coaster narrative that never lets up, and a fantastic sense of upbeat, apocalyptic style, Devil Survivor 2 is a full-on blast from start to finish. If you missed out on the original release, you're in for a treat, and if you've already played the DS cart to death the Triangulum scenario adds another immediately accessible full-length adventure to the experience - more than enough reason to return. 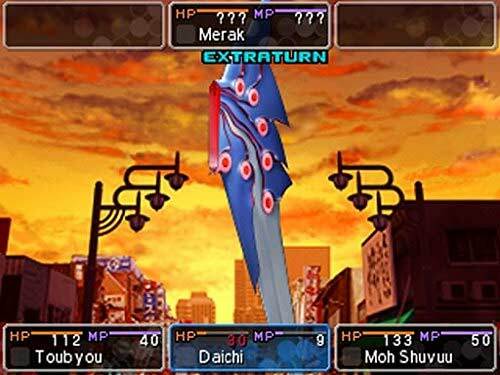 Whether you're a longtime MegaTen fan or just enjoy deep, strategic RPGs, you'll have a great time with Record Breaker, so summon up your courage and sign in to Nicaea; you won't regret it. Record Breaker improves on the original version of Devil Survivor 2 in every respect. Anyone who passed it over the first time around, in the dying days of the DS, absolutely needs to give it a look. Veteran players should give it a thought, too, despite its premium price — the new material is substantial, and you can jump immediately into the Triangulum chapter. In all, this is a hefty and well-crafted RPG, and it puts a great spin on the time-tested rules of MegaTen. For how much bang you get for the your buck, this game is 100% worth it. The story and characters are interesting but can get borderline sexually suggestive in dialogues. If that is the type of thing that turns you off, you've been warned. 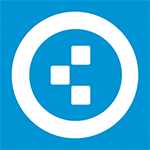 My biggest complaint is the tediousness of constantly updating your teams – which I know other people will love. There is also both a manga and anime which follow the game relatively close. Of course you’re not going to want to read or watch them before playing if you care about spoilers. Between its multiple interweaving systems, I expected something to get lost in Shin Megami Tensei: Devil Survivor 2: Record Breaker. But that didn't happen. 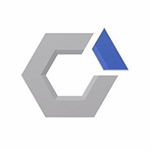 Against all odds, these competing mechanics come together and form something that feels complete — a game where a player-driven story supports a brain-taxing strategic component supporting tense, classic JRPG battles. That these systems can coexist at all is a surprise; that they can feel right together is a feat worth celebrating. When it comes down to it, though, these complaints seem relatively minor. Devil Survivor 2, in both the original and Record Breaker incarnations, is a great strategy RPG, delivering a potent mix of intense, brilliantly designed combat and a fantastic, endearing cast of fellow survivors. If you missed out the first time around, you should absolutely hop on board for this extended trip to the Apocalypse. Storyline is also the place where Record Breaker justifies itself over its previous DS release. ...I think this release’s true value, though, comes for those who have never played the original game, something that’s quite possible given how late in the DS’ life it appeared. If that’s you, then Devil Survivor 2 – Record Breaker is a better and far bigger version of what was already a pretty fantastic strategy RPG. Devil Survivor 2 Record Breaker has a good, lengthy story built on a solid system. The choices you make and the paths you take give a game that’s already pretty long a great deal of replayability. Because it was a 2012 DS game, the first release of Devil Survivor 2 flew under the radar of a lot of strategy RPG players. If you’re one of those, or want something that can take up a lot of time, then Record Breaker should be on your radar. The Shin Megami Tensei games strive to be cool and quirky, yet philosophical and emotional, and Shin Megami Tensei: Devil Survivor 2 - Record Breaker achieves what it set out to do. It's a strong story with fun characters, clever tactical RPG and choice-based visual novel gameplay, an interesting, apocalyptic setting rich with Japanese culture, and plenty of replay value. It's tough but not impossible, it's long but not repetitive - there's no game quite like it. Shin Megami Tensei: Devil Survivor 2 - Record Breaker is a superb, unique, and underrated title that deserves to be in any JRPG fan's catalogue. There is enough content to warrant a purchase even for owners of the original, with a much higher quality translation and voice work that elevates it completely over the original but also the new content feels much like a true sequel. Fantastically enjoyable and hard to put down, this is almost on par with Atlus' golden child, Persona. Shin Megami Tensei: Devil Survivor 2 Record Breaker is a fantastic handheld RPG with a deep combat system, characters that you care about, and a well-delivered story. Returning fans will also find plenty to enjoy here too, whether it’s the new difficulty settings, voice-acting, or the fresh story arc. As such, Devil Survivor 2 takes its place amongst the best the Nintendo 3DS has to offer. Shin Megami Tensei Devil Survivor 2 fue y sigue siendo un juegazo de rol y estrategia repleto de horas de disfrute gracias a un cuidadísimo y profundo sistema de combate, y a una historia muy interesante protagonizada por personajes con mucho carisma. Por último, recordad que en 3DS tenéis también Devil Survivor Overclocked: si os gusta el rol táctico os recomendamos que juguéis a ese juego primero, aunque argumentalmente son independientes (con personajes e historia diferentes) y tampoco pasa nada si jugáis directamente a este Devil Survivor 2 Record Breaker. Nach dem mit erheblichen Mängeln behafteten Fehlstart von Overclocked unter Ghostlights Fittichen, haben Atlus und NIS America mit Record Breaker eine saubere technische Umsetzung des 3DS-Remakes von Devil Survivor 2 abgeliefert. Darüber hinaus wartet Teil zwei der dämonischen Rundentaktik mit noch gewaltigerem Bonusinhalt auf. Profundo, complexo e viciante, Devil Survivor 2: Overclocked presenteia os jogadores com uma mistura de géneros que resulta numa jogabilidade soberba e muito divertida. A trama principal é envolvente e muito bem redigida, com personagens e diálogos bem construídos que mantêm a aventura interessante do início ao fim. Non abbiamo che grattato la superficie di Shin Megami Tensei Devil Survivor 2: Record Breaker, un SRPG eccellente in tutto e per tutto, che svetta tra le produzioni del genere non tanto per questa o quella caratteristica particolarmente vistosa, quanto per il complessissimo e ricco sistema di gioco sia a livello strategico che tattico, e che però riesce a mantenere un equilibrio perfetto in ogni situazione, fatto salvo il non abusare delle Free Battle. Ecco che, allora, Shin Megami Tensei Devil Survivor 2 Record Breaker, grazie al doppiaggio integrale e alla longeva campagna aggiuntiva, si erge non solo a manifesto per tutte le operazioni di questo tipo, ma anche ad acquisto quasi irrinunciabile per tutti gli amanti dei giochi di ruolo giapponesi che possiedano un 3DS. A condizione, ovviamente, di disporre di un'ottantina di ore libere e di essere disposti a ricaricare un salvataggio precedente di quando in quando. DS2 сменила тон повествования на более привычный для массовой аудитории, но в основе осталась той же игрой – сложной и доступной, хардкорной и увлекательной одновременно. Настоящий бой здесь по-прежнему происходит не на тактической карте, а в голове игрока. Record Breaker – лучший способ познакомиться с DS2.